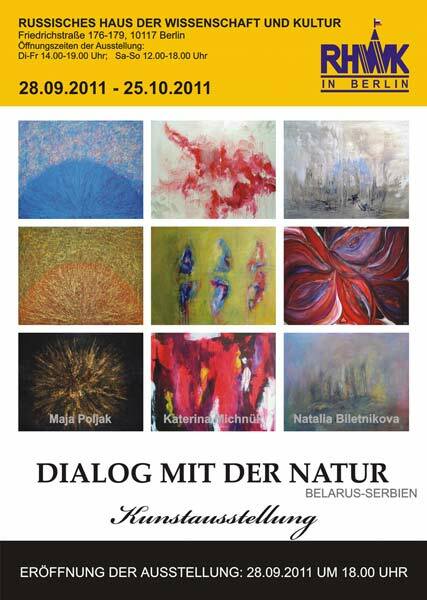 The paintings by Maja Poljak, Natalia Biletnikova and Katerina Michnuk are to be a part of the art exhibition “Dialogue with Nature”. It will be on show in Russian House of Science and Culture in Berlin from September 28 through October 25. The main goal of the exhibition is to show the modern art of two countries: Belarus and Serbia. 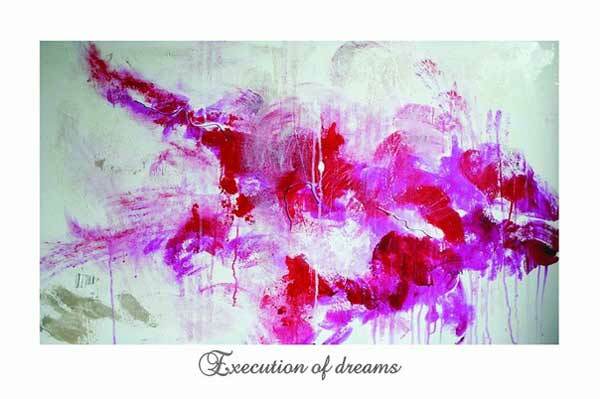 The artists work in both figurative style and abstract expressionism. 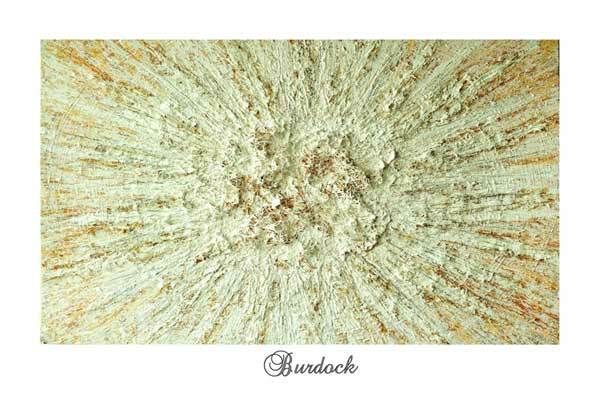 The central topic of the art exposition is the unity of man and nature. “Mother Nature is the principal power on Earth and it is buried deep within each of us. It also functions as a source of inspiration. Our personal attitude towards it will create the way in which we convey our feelings and experiences through color onto the canvas. 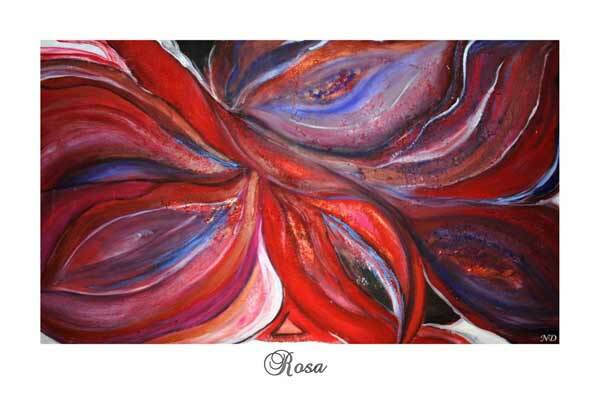 Vibrant bright colors resemble those found in real life and represent all four seasons of the year. In each piece of art you will be able to look through the artist’s eyes and feel our expression, philosophy and the way we perceive the nature. Put it the other way, a viewer will enter a spiritual contemplation of nature and man - as a single being. We, as human beings turn to nature for advice. Artists find in nature a reflection of their feelings and thoughts, response to their experiences through the state of nature. The diversity, structure and complexity of all natural phenomena allow us to speak about the wisdom of nature and its ability to be a mentor to those who knows how to listen”. The art exhibition will be held in Russian House of Science and Culture in Berlin (Friedrichstraße 176-179, 10117 Berlin) from September 28 through October 25, 2011.